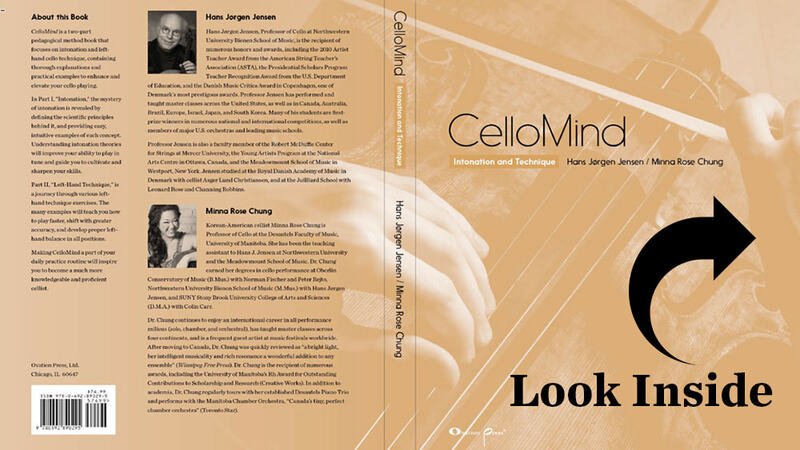 Unlock your true potential by learning the secrets of intonation and left-hand cello technique in a book from two of the world's most preeminent cello teachers. 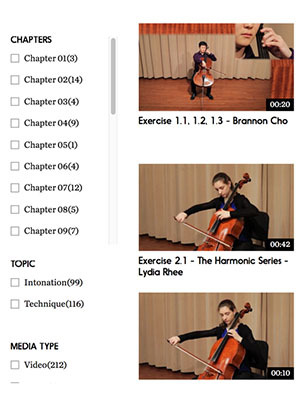 Purchase includes exclusive access to an online resource portal with supplemental videos and audio! CelloMind is a wonderful new book on intonation. It is the clearest and most comprehensive discussion of the subject I have seen, and an important contribution to string pedagogy. Have you ever doubted your intonation? Have you experienced the need to place pitches differently from one piece to another, or even from one measure to another? If so, you are not alone. Trying to decipher intonation is often frustrating and undermines the confidence of some of the most accomplished and talented musicians. CelloMind is a two-part, pedagogical method book that has been written to help musicians understand HOW intonation works and, more importantly, WHY it works the way it does. Purchase of the book includes exclusive access to an online resource portal with supplemental videos and audio. 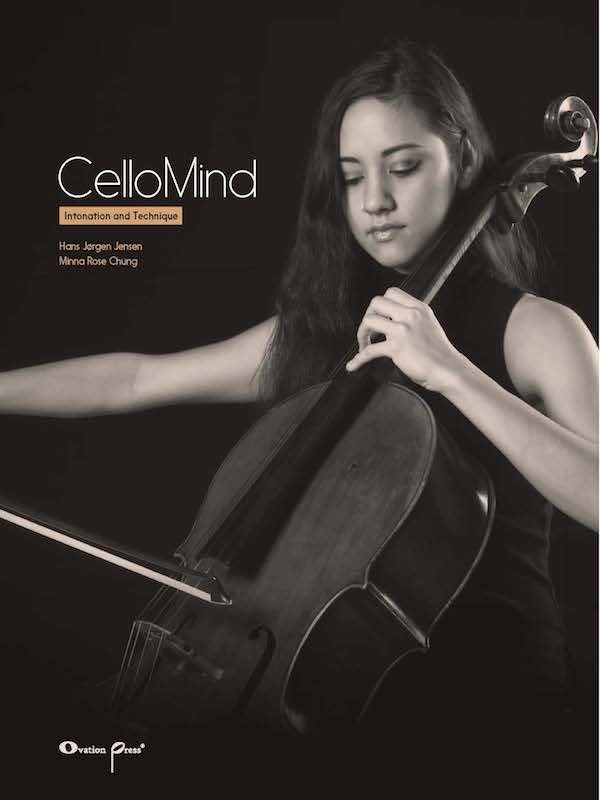 Complete with thorough explanations and practical examples, CelloMind is designed to enhance and elevate your cello playing. 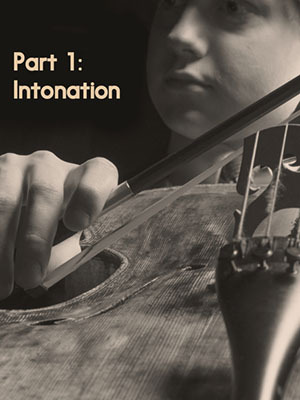 The mystery of intonation is revealed in Part I by defining the scientific principles behind it, and providing easy, intuitive examples of each concept. Understanding intonation theories will improve your ability to play in tune and guide you to cultivate and sharpen your skills. This book is that answer. Embark on a journey exploring various left-hand techniques in Part II. The musical exercises have been specifically designed and written to teach you how to play faster, shift with greater accuracy, and develop proper left-hand balance in all positions. 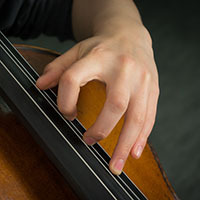 The left-hand technique chapters in Part II of this book complement the study of intonation by providing a solid foundation for general cello playing. The topics and exercises have been selected to cover a wide range of different technical skills, including: playing with a light left-hand touch, speed, coordination, balanced vibrato, agility, finger independence, and effcient shifting. These fifteen chapters include original exercises developed for students over many years, as well as studies from Klengel, Cossmann, Feuillard, Duport and others that have been specifically adapted for this book. Purchase the hard copy and get complete access to our online portal, complete with supplemental video demonstrations of select lessons with additional content and resources. Conveniently access the portal anywhere using your computer or mobile device. The portal includes over 200 videos that illustrate all the basic concepts and exercises from CelloMind, as well as diving deeper into advanced topics. It also includes graphics and charts that explore and clarify various scientific principles. CelloMind is marvellous. Everything about it is classy—the pictures, the type set—but most of all it is very thoughtful and insightful. Great book! 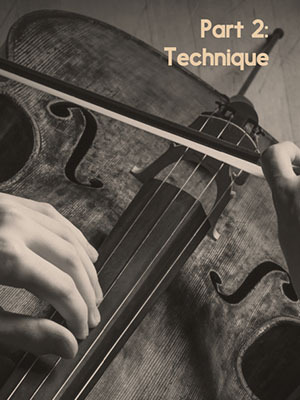 Hans Jensen, the eminent professor of cello, has written a superb and comprehensive guide. It contains a particularly useful and thorough analysis of intonation, the most important facet in cello playing. 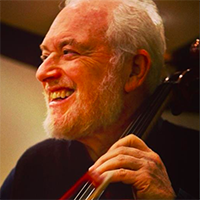 CelloMind allows us to enter the workshop—and mind—of one of the world's preeminent cello teachers. Through a perfect blend of explanations and practical exercises, it covers all of the essential areas of technique in a way that allows students to apply his ideas to their practicing and playing with both theoretical understanding and positive results. Every student and every teacher should own this book! CelloMind is really amazing. I have learned so much! And yes, the Tartini tones, that's a new idea for me, I love it. There are so many things that I like, but particularly the notion that one can move freely between the different intonation "methods", not just from Baroque/Classical to Romantic, but even within any given phrase depending on context. That makes complete sense, but I had always thought that you were either well tempered or "expressive", kind of like being either a dog or a cat person. Congratulations, it is a great achievement and I hope it's bringing you both much success, admiration, and kudos. CelloMind is a goldmine! From my perspective as both a performer and teacher, this book is a priceless resource. The typically dry science of the various tuning systems is presented in a clear, easily digestible format and backed up with exercises and videos. This beautiful book has become a part of my daily technical routines and helped me be a better teacher when refining or introducing various left hand techniques to students both young and advanced. This book is SO GOOD. It is the way technique books should be - presenting incredibly clear and thorough explanations with applicable exercises to back it all up. I am excited every time I open up a new chapter, and the possibilities it presents with applications to my own bass playing. Hi, Minna! Congratulations on yours and Hans’ success with CelloMind! It really is a triumph in every way. The way the book is laid out is super conducive to experimentation and elaboration in my practice. Love that! It’s really great to have the companion videos with the book. Together they provide a solid foundation on which to build an expansive system for building left hand technique. CelloMind is a game changer. It is a must for all cellists to study this book because it helps one understand intonation while backing it up with clear reasoning. Hi Minna, it's a pleasure to be able to contact you. I am a professional cellist and I also teach. I'm very interested in Cellomind. I agreed to watch the videos finding a really valuable material for both the professional musician and the teachers, and I really congratulate you for such great achievements. I am totally impressed! How thorough, how informative, and so well researched with depth! My heartiest Congratulations! It is beautifully written, impeccably explained with details, and so well organized! It is a truly great work and will be really helpful to every person who wants to play the cello. And I am convinced that it will be one of "The Real Must" for anyone learning and teaching this wonderful instrument! Tsuyoshi Tsutsumi International soloist. 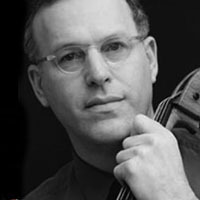 Former professor of cello at the Jacobs School of Music at Indiana University and President at the Toho Gauken School of music in Japan. CelloMind. It is fabulous. I am urging my students to read it as you describe everything essential to cello playing in such a clear and organized way. This is truly the most insightful and usable book I have read on intonation and left hand organization. Congratulation to you and Minna. 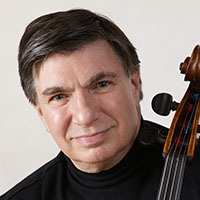 The recipient of numerous honors and awards, Professor Jensen has performed and taught master classes across the United States, as well as in Canada, Australia, Brazil, Europe, Israel, Japan, and Korea. 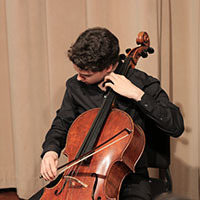 Many of his students are first-prize winners in numerous national and international competitions, as well as members of major U.S. orchestras and leading music schools. Hans Jensen studied at the Royal Danish Academy of Music in Denmark with cellist Asger Lund Christiansen, and at the Juilliard School with Leonard Rose and Channing Robbins. 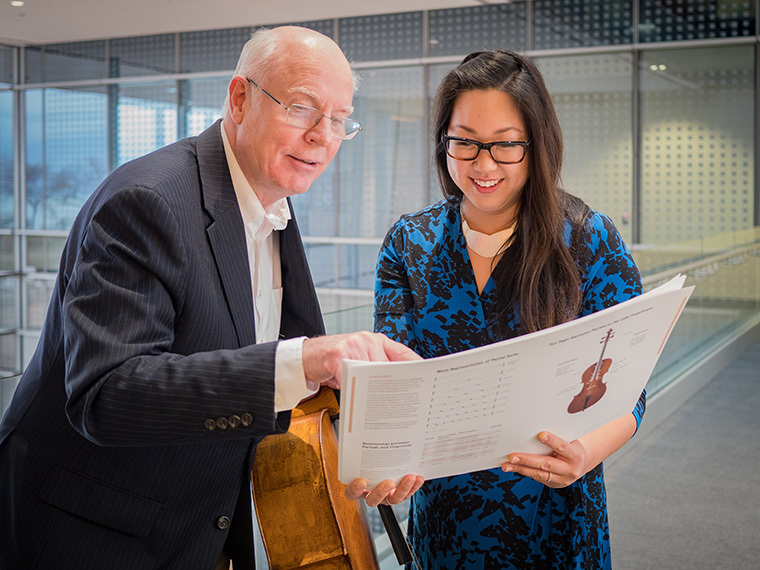 Professor Jensen is also a faculty member of the Robert McDuffie Center for Strings at Mercer University, the Young Artists Program at the National Arts Centre in Canada, and the Meadowmount School of Music in New York. Dr. Chung has an international career in all performance milieus (solo, chamber, and orchestral), has taught master classes across four continents, and is a frequent guest artist at music festivals worldwide. She has been reviewed as “a bright light, her intelligent musicality and rich resonance a wonderful addition to any ensemble” by the Winnipeg Free Press. Dr. Chung is also the recipient of numerous awards, including the University of Manitoba’s Rh Award for Outstanding Contributions to Scholarship and Research. 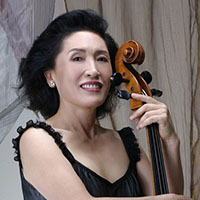 Dr. Chung earned her degrees in cello performance at Oberlin Conservatory of Music (B.Mus.) with Norman Fischer and Peter Rejto, Northwestern University Bienen School of Music (M.Mus.) with Hans Jørgen Jensen, and SUNY Stony Brook University College of Arts and Sciences (D.M.A.) with Colin Carr. Send us a message with your inquiry. If you are interested in hosting a workshop with the authors, or in volume purchases for businesses, associations, or libraries let us know! Ready To Buy? Purchase Today!